Last night, the Sasquatch! Music Festival announced the lineup for its 11th annual festival at the Gorge. Were there many surprises? No, not really. Will there be some naysayers about the collection of indie mainstays? Absolutely. Including in our office right now. The main acts include Beck, the newly solo Jack White, The Roots, The Head and the Heart, The Shins and Bon Iver. We were speculating as to the lineup earlier this week, and actually nailed a few of the bands. 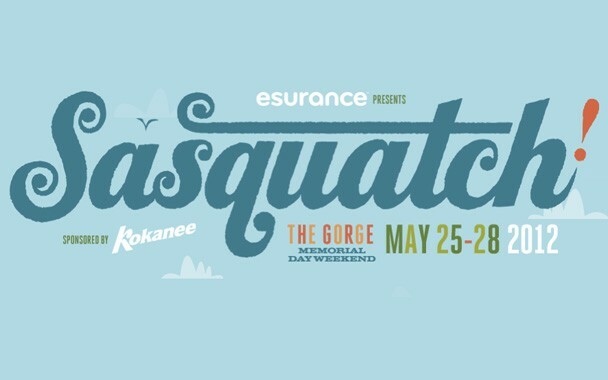 But what's making me lust for Memorial Day Weekend is the collection of second-stage and lesser-known acts, which in my opinion, Sasquatch nailed this year after bringing much bigger bands in 2011 ... like Foo Fighters, Modest Mouse, Wilco and others. Here are some highlights for me: Grouplove, Childish Gambino, Girl Talk, Blind Pilot, Blitzen Trapper, Ted Leo and the Pharmacists, and STRFKR. Sasquatch! Music Festival 2012 Lineup Announcement from Sasquatch Festival on Vimeo.